All About Flooring is an independent, family run carpet and flooring retailer based in Petersfield, Hampshire. Our professional team, offering up to 45 years of experience in the trade welcome you to our showroom to browse our extensive range of carpets and flooring. 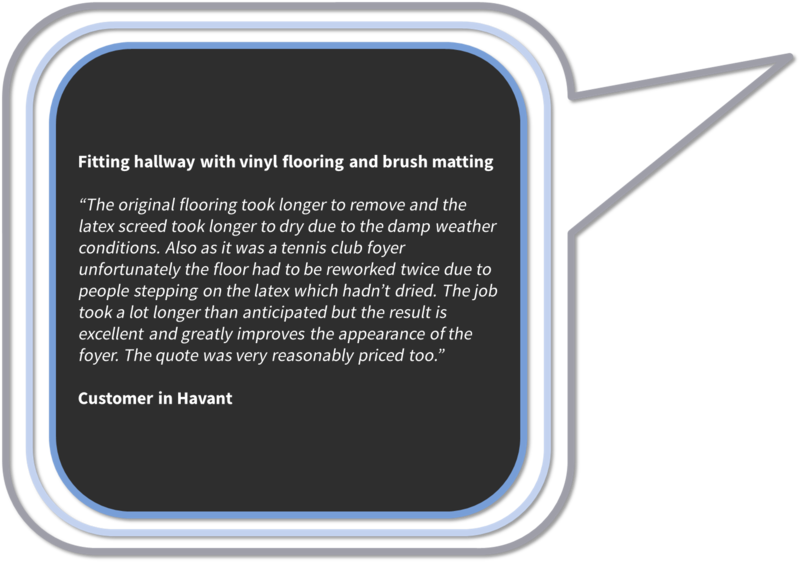 We take pride in the standard of the services we provide. From discussing your requirements to completing your fitting, our team ensure the highest quality care and offer a more personal experience than the likes of chain competitors. There are convenient car parks very close by and additional street parking, it couldn’t be easier to pop in store today! Our measuring and estimating service is undertaken by highly trained and experienced personnel, free of charge with no obligation, each estimate is carefully prepared to meet your individual specific needs. Visiting our showroom gives you the widest choice of our full range of products; however, samples can be provided at a home visit, to begin the process. To make an appointment please call 01730 710111 or click here to contact our team. Our well-established fitting teams with great depth and breadth of experience deliver our fitting service. We offer disposal, preparation and fitting services as well as additional services to make sure the works are completed to your satisfaction. 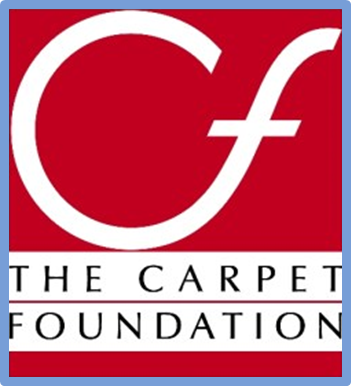 Our many years experience within the flooring industry has taught us that many customers are just searching for competitively priced, high quality and hard wearing carpets available from stock for immediate fitting or collection. 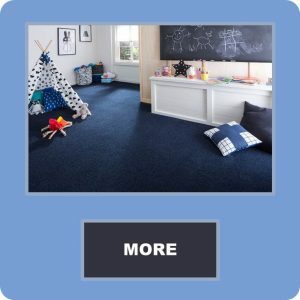 Click here for details of our stocked carpets. 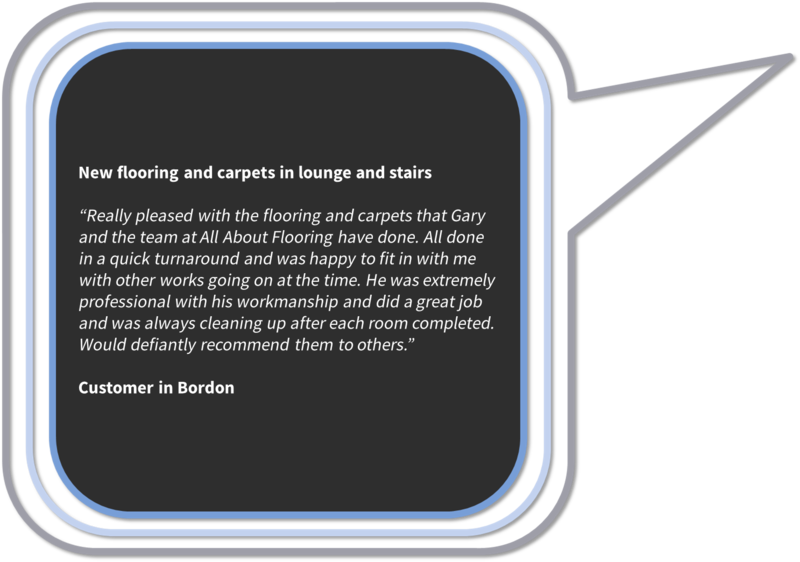 All About Flooring are part of a buying group with other quality independent carpet & flooring companies. This means that not only do you benefit from the excellent and friendly service you would expect from a local company but our prices are competitive too! Don't waste time and money driving to an out of town retail park. Visit us first. We promise you won't regret it! Whether you’re looking for a budget bedroom or luxury velvet pile carpet, we have a wide range of samples from a variety of manufacturers to help you find the right carpet to do the job. 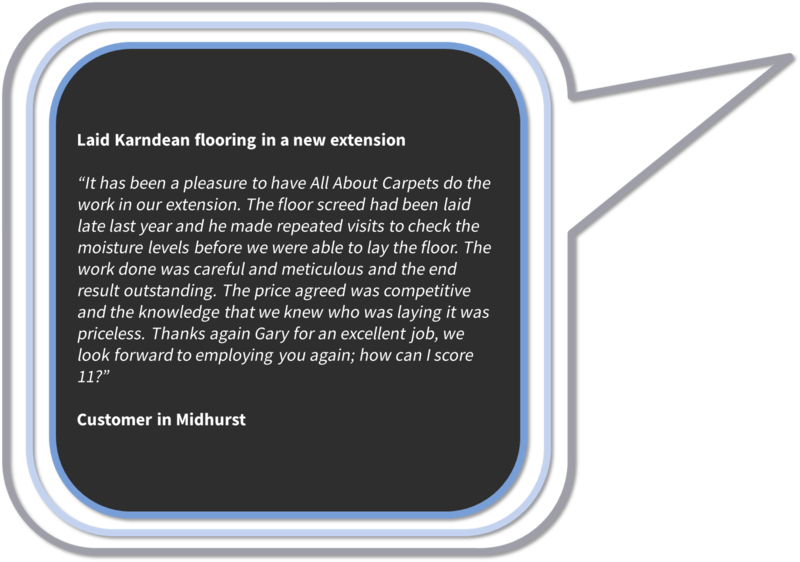 Our experienced sales team are pleased to offer advice on carpet selection, underlay and installation. Vinyl is highly popular choice for bathrooms and kitchens, but increasingly for other areas of the home as the quality of product available increases. Vinyl is highly durable, easy to maintain and available in a vast variety of choice designs and colour. 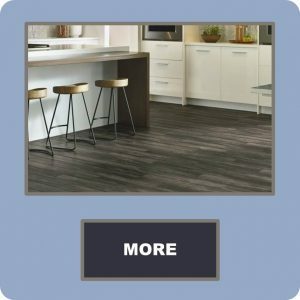 Laminate flooring maintains it status in the market, offering the look of wood, with an ease of upkeep. 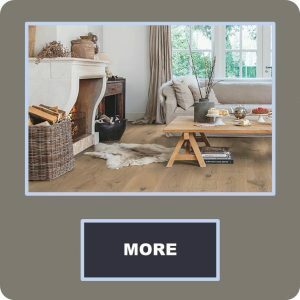 Engineered wooden flooring allows you to feel the real thing as you walk around your home, without the limitations often associated with installing a solid wooden floor. 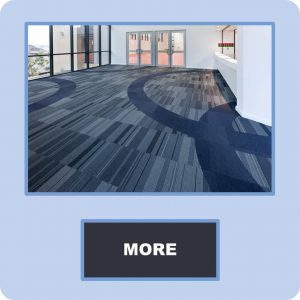 Our experience in the commercial sector varies from carpet tiles in offices to safety flooring in laboratories, working to tender from floor plans to visiting sites to help set the specification process. 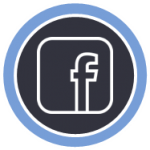 Our clients include schools and colleges, facilities service and airport maintenance companies, independent retail, café, restaurant and shops, sports centres and council offices. Along with a great range of flooring products we also stock and supply all of the necessary finishing touches, tools and accessories required to ensure your flooring project is finished to the highest quality. Please click here to find out more. 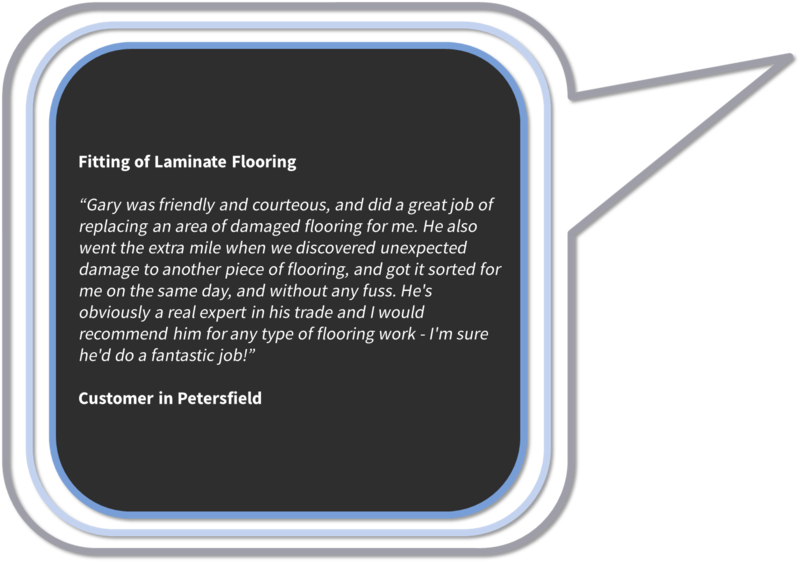 We would love to hear from you if you have a flooring requirement or any questions you would like to ask us. We will contact you as soon as we can to discuss the requirement or answer your questions.